SUV is a SUV if its 4x4 or All Wheel Drive in India. 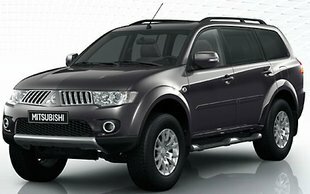 4x2 Wheel Drive: While in Cars - Most of the Vehicles Sold in India are Front Wheel Driven or Rear Wheel Driven. It means - Power flows to either Front Wheels / Rear Wheels - which keeps the car moving. These Cars are known as 4x2 Cars. Like Honda City is a 4x2 Front Wheel Drive while Mahindra Scorpio and Toyota Innova Crysta are 4x2 Rear Wheel Drive. 4x4 Wheel Drive: However - 4x4 Cars are those where Power Flows across all 4 Wheels Simultaneously. Here once the driver engages in 4x4 Wheel mode - power is automatically sent in almost 50:50 or 60:40 to all the 4 wheels. The 4x4 Cars are better on Off road dynamics as the driver can lock in 4x4 mode and can also use in differential lock in extreme conditions. Unlike All Wheel Drive Cars which have center differential, 4x4 Wheel Drive cars comes with differential lock on both Axles for Off roading experience. means if left tyre losing traction then right tyre will get more Power with higher speed to take car away from such slush road, unlike the case of all wheel drive - where both front / both rear tyres gets same power. All Wheel Drive: There is another concept of All Wheel Drive (AWD) in which one can gain the best of 2 Wheel Drive and 4 Wheel Drive. Here effectively a car drives most of the times in regular 4x2 Wheel drive, and once due to road conditions, off road, muddy slush road - the car sensor depicts that one of the wheels is having lesser traction due to mud / bad road - the car sensor depicts and send more power to wheels (on other side - Like if front wheel have less traction then rear wheels gets more power) so that the car can come out of the bad road. Its like the other wheel gets a more traction to help in taking off the car from such road. » All Wheel Drive send Power to both wheels on Front and Rear as required or increased Power to either Front Wheel or Rear Wheel. » While in 4x4 the Power Flow is done through Differential on even Left or Right Side or Front and Rear for higher torque. For Off roading is what 4x4 System an advantage. 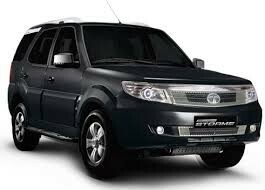 Below is Range of 4x4 Wheel Drive and All Wheel Drive SUV Cars in India starting from Rs 5 Lakh to Budget of 40 Lakh in India.